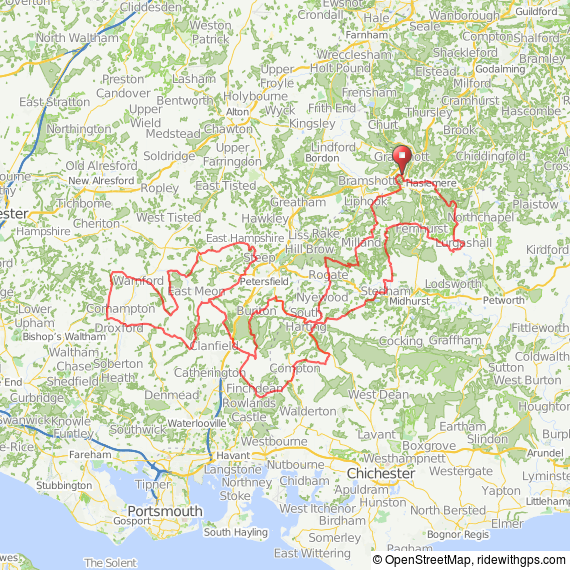 100 miles (161km) with 8434ft (2570m) of climbing, eleven climbs and five feed stops. Follows the Challenge route to South Harting, up the North Face of Harting Down, to Chalton (feed stop first time) before climbing Holt Down, Butser Hill, Stoner Hill, Teglease Down (feed stop), Wheely Down, Wether Down, Butser Hill (again, but up the steep side this time), before returning towards Haslemere via Chalton (feed stop if required), South Harting (feed stop), Lurgashall (feed stop) and Blackdown, the highest point between the Downs, before finishing with a last hurrah at Woolmer Hill. Entry Fee: £30 to 31st December, £35 from January 1st - April 30th, £40 May 1st - 19th.